On one hand it’s a stretchy glove with built-in conductivity that’s smartphone friendly. On the other, it’s a quilted mitten you’ll be happy to have on hand when the mercury drops. 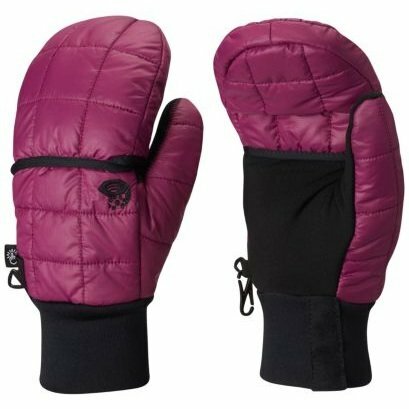 The secret of our exclusive Grub Glove is a convenient pocket on the back of each glove that conceals a quilted, insulated mitten. Simply slip them over the glove fingers when you need a little extra warmth. Flat-lock construction for a comfortable, seamless fit. Polartec® Power Stretch® glove; quilted ripstop nylon mitten with Thermal.Q™ insulation. Elastic cuff.